What a pretty coat. I love the print and color. Oh! You can make any outfit look good! This is so nice! Love that necklace too! I LOVE that floral coat. It looks like spring. I want spring 🙂 Thanks for sharing. That coat is really cute. I always shy away from patterns, but I need to try some! I want that coat! That is just too adorable! What a beautiful–and bold!–outfit and necklace for the spring! I’ve seen snow for son long that seeing these items gives me hope that spring is just around the corner! Oh wow! That coat and necklace are OGRGEOUS! I LOVE that coat! Perfect VDay outfit. Thanks for sharing! That coat is adorable! 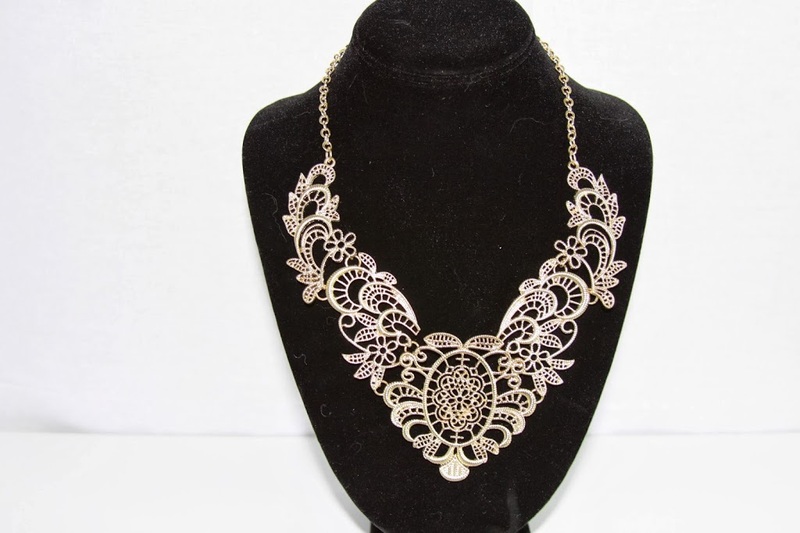 And I’m not much of a necklace wearer but wow that is gorgeous! I definitely am going to have to go look at this site-I love that vintage necklace! The jacket (coat?) is not something I would wear but I can appreciate how pretty it is. I am in love with that coat!! I think I spent about an hour yesterday browsing Persunmall.They have so much great stuff!Killer prices too! Absolutely LOVEEEE this dress paired with those shoes! You have a great sense of style! Gorgeous! You have some really great coats. I love the boots too. That is a very attractive combination.. The print was extremely eye catching..
That dress is amazingly cute!! It fits you great too. Very glad to learn about another great online site. Thanks for modeling some of the great fashions. You Look Like Model You Have Great Style, Gorgous Outfit! This dress is so “February”, perfect for this month, bright and eye catching! You always take the cutest pics! I love the outfit! Love the coat but I can’t wear that kind yet here in northern Minnesota. It doesn’t look like enough to keep me warm. It is a perfect coat though for spring and fall seasons. I really like the bold statement necklace. I am always searching for accessories that will make my classically styled wardrobe pop. I love love love that coat! So fresh and clean for spring – I think everyone in this country is looking forward to spring at this point! i want to know where you got your coat? It is adorable! Oh my gosh, I just saw the pictures yesterday, today I came back to read the post,and that fabulous dress is really a fabulous coat! Even better!!! And aww, to the leather from other country’s. 🙁 Good to know and remember though. Very cute, I like the pattern! Wow that coat is so beautiful! I am going nuts about this outfit and this necklace. The color is so pretty and I like you in this outfit. You are just gorgeous! You look fab! I love everything about that coat. I need it! That jacket is adorable! So perfect for spring. That coat is pretty and it looks great on you. And I want that necklace. I LOVE Persunmall! Seriously, they have such amazing pieces that I haven’t seen before. And they are so reasonably priced it’s crazy! I can’t tell you how many cute things I’ve pinned on my fashion board! Love! This coat is AMAZING- love the print! love the coat. love the stockings and shoes too. Love that coat and that necklace is gorgeous! This floral coat is amazing and the right length for wearing. I like the colors and it really looks good on you. The necklace is so pretty and fancy, and I would wear both of these items. Classy pieces! Floral coat! That what i call taste! I haven’t visited persunmall in ages – thanks for the post and reminding me of how much I like their stuff! I agree that that coat is a breath of fresh air. The coat is the splash of colour! I am secretly pining for that floral coat. I am ready for spring. I love this jacket. It is so girly and flirty. Just my style. Love how the coat matches the dress. & That’s a great statement necklace. I like them both stunning necklace. 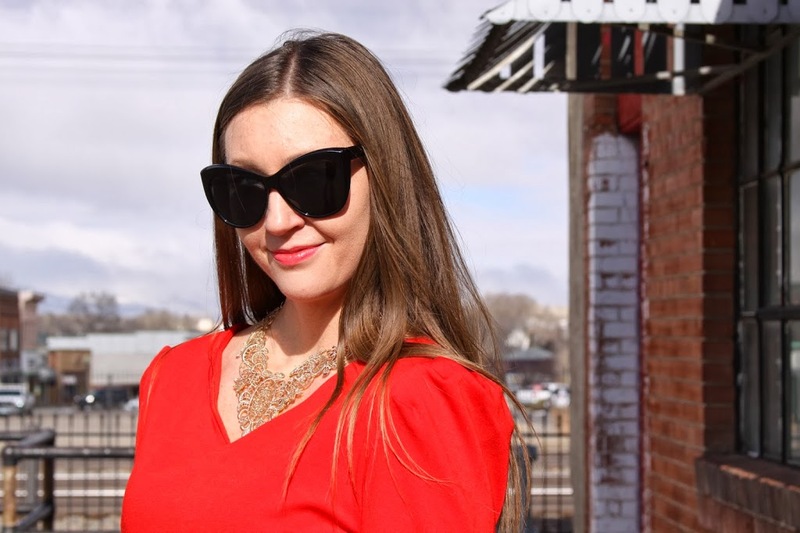 The dress reminds me of spring and the necklace is perfect for any occasion. What a beautiful–and bold!–outfit and necklace for the spring! I would love to wear this outfit! It is so pretty! the pattern is awesome!! Love it! Your outfit is adorable! I love that coat! Every time that I see this coat, I fall more in love with it. Adorable. i like the necklace most of all! The coat is adorable and the necklace is intense. Great coat and I REALLY love that necklace! the dress really looks nice ! Dress is so sweet daer! very beautiful,i really love your dress! Thank you for replying. I went to zappos and omg, they’re above 150 bucks! O_O hahaha I really want glasses that are that size. wish i could meet you in person in the future! love your blog! i love yor dress so much,very chic! i’m seriously in love with this jacket and necklace! so vintage glam!